From 3star to 5 star ratings, all of our holidays offer superb service, great facilities and exceptional value for money and depending on your budget some even may say cheap. Beach holidays are perfect if you really want to unwind and escape from day to day life – so check out our holidays and start planning your holiday. Desert Treks -- There are several locations within an easy day trip by jeep from Dahab that offer spectacular rock formations and perspectives on the desert. The top three locations for these trips are Colored Canyon, Ain Khudra, and White Canyon. Reef Island is a lovely concentration of brain and cabbage corals just off the shoulder of the bay that protects the lagoon in front of Dahab City. The aftermath of an earthquake has made some interesting passages through some of the corals. Eel Garden is a colony of garden eels, which make their home in burrows on the sandy sea bed. Swimming above them, you see them extended vertically from their burrows like a little forest, bent a little into the current as they collect food from the passing water. Ras Abu Galum is a popular spot to make a diving trek; arrive by camel or jeep, and spend a night or two at the Bedouin camp there. The reef has a variety of fire, brain, and table corals, and hosts a rich variety of sea life from emperor and puffer fish to turtles. What makes Abu Galum special, though, is the local population of sea cows, or manatee. Diving with these mammals, which can weigh up to 1,000kg (2,200 lbs.) is a truly special experience. Snorkeling -- Even if you're not ready to don tanks of air and bulky strapping stuffed with lead weights, you can experience the stunning underwater life around Dahab. The reef that runs parallel to Mashrab and Masbat is still worth snorkeling despite a decade of insensitive use, and the reef around Blue Hole is simply stunning. Many of the dive sites listed above are also accessible to snorkelers, depending on their level of fitness and swimming ability. St. Catherine's Monastery -- St. Catherine is a deeply significant site that is steeped in history and tradition and is a must-see for anyone with an interest in the history of the region or the church. Most hotels and any of the small tour operators in town can sell a tour up to St. Catherine's Monastery. Generally they leave late at night and arrive in time for the 2- to 3-hour climb to the top of Mount Moussa for the sunrise. Following is a tour of the monastery and a packed lunch before heading back to Dahab. Expect to pay about LE220 to LE330 ($40-$60/£20-£31). Think about whether you have time to overnight at the monastery and do the trek up the mountain, in addition to the tour of the church and its small but densely packed museum, in more comfort and less haste than these tours allow you. Because of the year-round warmth of the water in the Red Sea, rich coral reefs abound. Everyone who visits the area should experience the richness of the life that teems just below the surface of the crystal-clear waters. At first sight, it's easy to imagine that these rocky outcroppings are tough and impervious to human touch, but this is far from the case. Touching the coral or walking on it will break and kill it, leaving behind a dead, gray wall and a hole in a complex ecosystem that can take decades or longer to heal. Most international resorts have opted to do the responsible thing and have built jetties that allow swimmers and divers to get into the water without damaging the coral. Unfortunately, there are many places on the coast -- including Dahab -- where the government and local entrepreneurs haven't found the foresight to protect this invaluable tourist resource, so it's the responsibility of individual tourists to look beyond the next few days of their holiday and think about the global environment. It's easy enough to do: Find a place where the water is deep enough to swim over the coral, never touch the coral with your hands or your feet, and never throw plastic bags or other refuse into the water. · Get exclusive deals on 5 Star, 4 star and 3 star hotels , On this page we focus on some of the more affordable 5 star , 4 star and 3 star hotels, many of them belonging to up market chains like Hilton Resort .All of these are large hotels with full facilities. Explore the Red Sea at the Hilton Dahab Resort with its private beach and on-site diving school. Soak up the sun at the sleek outdoor pool or try scuba diving or windsurfing on the golden-sand beach. Children will love the playground and kids pool. Get a beach side massage learn to scuba dive with the diving instructors or book a reef tour. 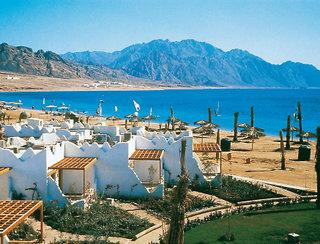 Excursions to Dahab attractions like Moses Mountain are also available. Try Italian cuisine under the stars at the Portofino Restaurant or alfresco seafood at Neptune's Restaurant. Sip cocktails as you sunbathe on the beach at the Beach Bar. 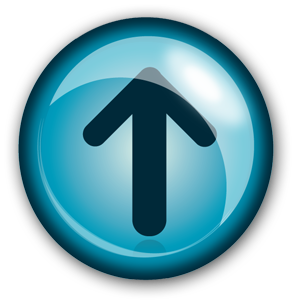 All rooms at the Hilton Dahab Resort offer high-speed internet access. Just an hour from Sharm El Sheikh the Hilton Dahab Resort boasts wireless internet access in all public areas a meeting room for 2-80 and a range of business facilities on request. Beach Bar: The Beach Bar at the Hilton Dahab Resort is a cool shady haven set right on the beach. There are cocktails and snacks for the adults ice cream for the children and great views of the lagoons and mountains for everyone. Relax here in the evening with a Bed. Coconut Bar: Enjoy fabulous views of the Sinai Mountains and the sparkling Red Sea from under a Coconut Bar parasol at the Hilton Dahab Resort. Overlooking a natural lagoon and sheltered by a sandbar it's the perfect spot to watch the sunset or sip a cocktail. Offering stylish rooms complete with flat-screen TVs and mini bars, this luxurious resort offers a sauna and a jacuzzi. It features panoramic beach views and 5-star rooms. 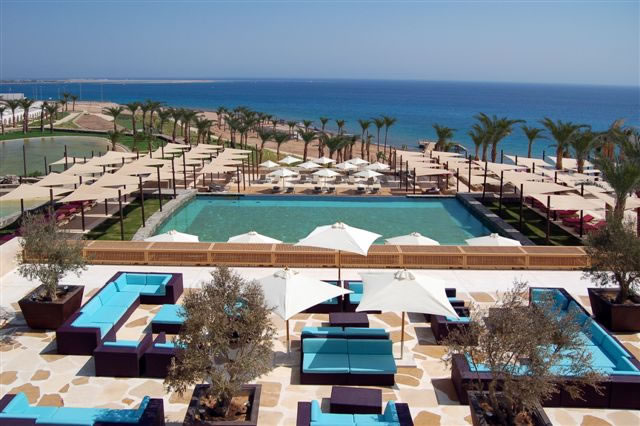 The Le Meridien Resort Dahab has 182 rooms and offers an outdoor pool and tennis courts. Facilities at the resort include a kids pool, a 24 hour reception and a business centre. Other features include a kids club, a safe and babysitting / child services. The rooms at the Le Meridien Resort Dahab have complimentary toiletries, cable / satellite channels and a hair dryer. Features include a sitting area and slippers. The en suite bathrooms include a shower and bathrobes. The Le Meridien Resort Dahab also features a restaurant and a bar. Room service is available 24/7. Situated in Dahab, this 3-star property is romantic and unique. The resort offers a day spa and large rooms with a mini bar and a sitting area. The Swiss Inn Resort offers a range of premium services for guests, like babysitting / child services, a currency exchange and a car rental desk. Offering a 24 hour reception, an outdoor pool and a sauna, the resort also has a fitness centre. Guests of the Swiss Inn Resort can also enjoy a relaxing massage, or rent a bicycle to explore the surrounding area. The Swiss Inn Resort offers 150 spacious air conditioned rooms. Each offers facilities such as bottled water, cable / satellite channels and a refrigerator. Also available in the rooms are an alarm clock and an in-room closet. The Swiss Inn Resort's bar provides a relaxing setting for an evening drink. The Swiss Inn Resort provides free parking. Snorkeling, windsurfing and horse riding are available nearby. For business or pleasure, when in Dahab book your stay at the luxurious Hotel Coralia Club Dahab. The Hotel Coralia Club Dahab is situated next door to the Hilton, and shares the same natural salt water lagoon with its own private section of sandy beach. The Dahab city centre is a short ride away with lots of shops, cafes, restaurants and attractions. This modern hotel is in an ideal location for guests interested in all types of water sports, especially diving and wind surfing. Accommodation consists of a total of 139 rooms and suites all equipped with modern amenities, stunning views, top class facilities and traditional Egyptian hospitality. 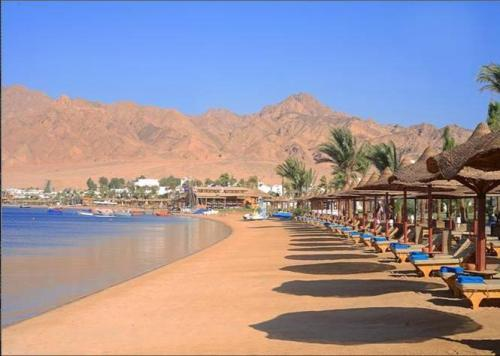 For an unforgettable holiday in Dahab, this hotel is a perfect choice! Sharm El Sheikh International Airport is 100 km from the hotel. Local Tips: Check out the tourist village of Assalah with its thatched beachside cafes, colourful market, and constant parade of tasselled camels and white-robed Bedouins, nestled against the rugged mountain skyline and azure sparkling waters. Iberotel Dahabeya is situated directly on the sandy beach of the natural lagoon by the Red Sea resort of Dahab, just a one hour drive from Sharm El Sheikh International Airport and only two hours from Taba International Airport. You can reach Cairo in around six hours, driving through the beautiful mountains of Sinai. 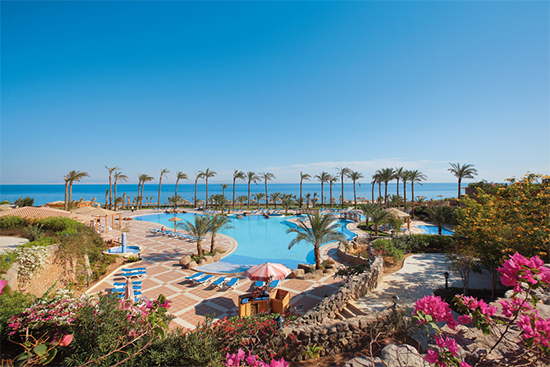 Away from it all and not as bustling or as yet commercial as some other Red Sea resorts, Iberotel Dahabeya offers serenity in an unspoilt landscape with some of the best adrenalin fuelled watersports action and diving in the world. 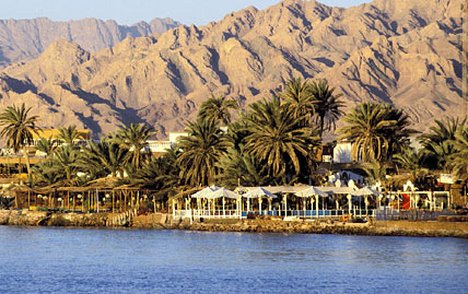 The scenery surrounding the hotel is breathtaking, looking over the lagoon to the mountains of Sinai and Saudi Arabia as a backdrop. The bay is one of the most sought after destinations for windsurfers keen for the ultimate challenge and many other attractions, such as the Mountain of Moses, St. Catherine Monastery and the Coloured Canyon are close to hand. Service and warm hospitality complete the picture as Iberotel Dahabeya has won several awards including Holiday Check 2005, TUI Holly Award 2006 and LTur best 100 hotels word-wide in 2007. The family-friendly hotel offers 141 guest rooms and suites and the hotel has its own private beach. In addition to a lobby with 24-hour reception and check-out services, a hotel safe, currency exchange facilities and a newspaper stand, further facilities available to guests at this air-conditioned establishment include a hairdressing salon, conference facilities and a laundry service. Guests may also enjoy a drink at the café or a night out at the disco. They can also dine at the on-site restaurant. In addition to an en suite bathroom with a shower and hairdryer, each room features individually regulated air conditioning and heating, a direct dial international telephone, satellite TV and a minibar. Other in-room amenities include a double or king-size bed, as well as a radio, Internet access, a safe and a fire alarm system and smoke detectors. Guests may also relax on their private terrace or balcony. 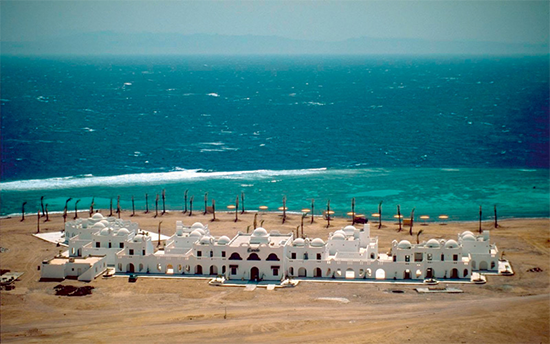 This resort is situated just 8 km from the centre of Dahab and Blue Hole is approximately 15 km away. Sharm El Sheikh International Airport is roughly 90 km from the charming beach hotel and Taba International Airport is roughly 180 km away.The hotel offers all-inclusive packages and buffets are served for breakfast, lunch and dinner.The hotel has an outdoor swimming pool with children's swimming area and sun loungers and parasols laid out for use. Guests may work out at the gym, play table tennis, pool/snooker or volleyball, or relax in the sauna or with massage treatments. They may also try their hand at a number of water sports, such as waterskiing, diving or windsurfing. The hotel provides a daily entertainment programme. Sun loungers and parasols are provided on the nearby sandy beach. Ibis Styles Dahab Lagoon ensures to complement its large selection of rooms with a high level of service. You can expect a memorable stay here thanks to the 3-star rating. Guests of ibis Styles Dahab Lagoon may be happy to know there is a restaurant here, and you can also access a BBQ/picnic area or a rooftop terrace. As a guest here you can make use of fun facilities, such as an outdoor swimming pool. One of the shops on site is a gift shop. Everyone can take advantage of a baby-sitting service, a dry cleaning/laundry service and an express check-in/out service, which are all on offer here. Business facilities are an asset of this accommodation; a business center is just one of them. There are 139 rooms to accommodate every type of traveller. Air conditioning is one of the facilities offered in ibis Styles Dahab Lagoon. The standard room services here are enhanced by a wake-up service as well as a daily housekeeping service. Take pleasure in an ocean view or a garden view from your room. A refrigerator provides convenience in the rooms. 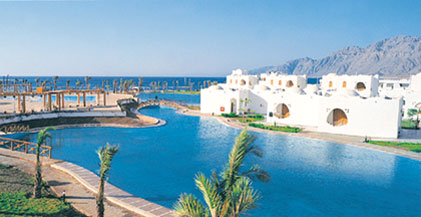 Ibis Styles Dahab Lagoon Hotel comprises of 139 rooms. Each room is equipped with bathroom with shower, telephone, mini bar, radio, satellite TV, alarm clock and air conditioning. They also have a balcony. 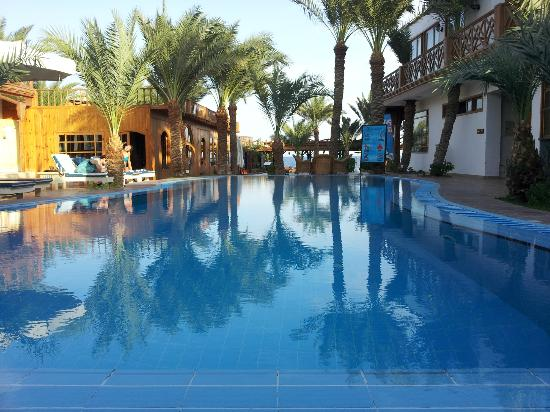 Situated in the heart of peaceful Dahab, this family-run hotel has an outdoor swimming pool and overlooks the Red Sea. Its diving centre can organize snorkelling and scuba diving trips. Featuring flat-screen TVs, the air-conditioned rooms at the Acacia Dahab Hotel are fitted with tiled floors and wooden furniture. Free Wi-Fi is available in the hotel’s public areas. Sahara Restaurant and Grill serves Middle-Eastern and Mediterranean fusion cuisine. Guests can enjoy an informal drink at the Mazaj Cocktail Lounge, featuring live music and Oriental jazz as well as a free billiards table. Directly facing the a breath taking coral reef and surrounded by the beautifulmountains of Sinai, away from the crowds and mass tourism, easy accessible by road and only 3 km north of the Bedouin village of Dahab . The Daniela Village & Diving center is only minutes away from the most famous dive sites of Dahab, such as the Canyon, the Blue hole, the Bells and Abou Helal, Shoe stump. Yasmina Hotel is located 220 yards from the beaches of Dahab, popular for diving. It offers an outdoor pool with massage facilities and an array of activities from horseback riding to snorkeling. The guestrooms of the property offer air conditioning and marble features to secure coolness. They all have a balcony, TVs and a work desk. The private bathrooms include a bathtub. Traditional food and international classic cuisine is served at the restaurant of the Yasmina Hotel. Dahab was a Bedouin fishing village and guests can also benefit from a barbeque area to enjoy roasted local fish. The hotel is served by Sharm el-Sheikh International Airport, less than 2 hours away. It is possible to rent a car right at the Yasmina Hotel and discover Sinai Peninsula’s attractions, including Saint Catherine’s Monastery.